We have traveled to Eastern Canada several times by car. One of my favourite trips took place when my son was just a year old. My husband, the little guy and I drove to Prince Edward Island to camp, explore red sand beaches, sightsee and look for seals. 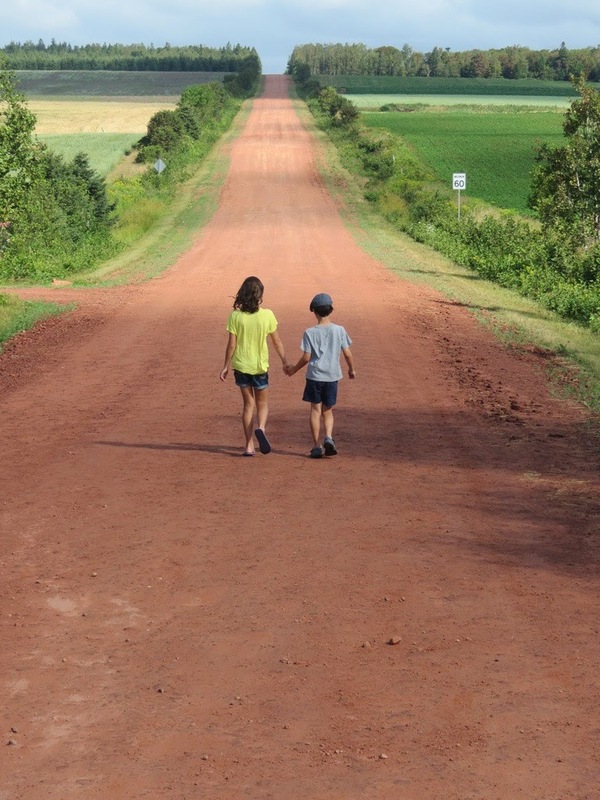 Crossing the bridge to PEI brings you to a peaceful, pastoral retreat that is truly unique and special. The people are friendly, the food is delicious and the towns are rich with culture and history. And then, of course, there are the stunning beaches! You have to see them to believe them. As an avid reader and a huge fan of L.M. 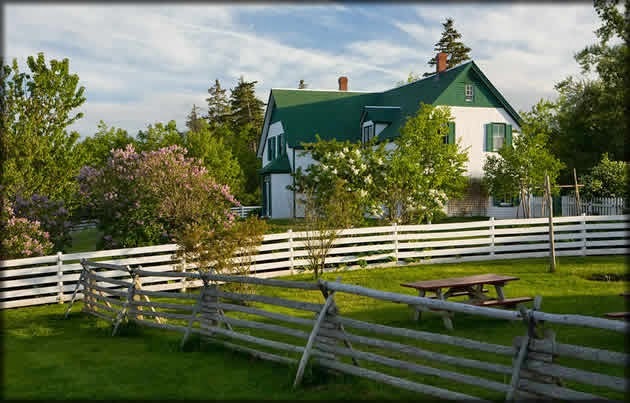 Montgomery, a visit to Green Gables Heritage Place was at the top of my list. Growing up, Anne of Green Gables was one of my favourite books. I loved reading the detailed descriptions of the trees, flowers and trails around Green Gables. It was incredible to see the author's source of inspiration, to retrace Montgomery's steps and explore the house, gardens and trails that led to the creation of Canada's most beloved fictional heroine. For our next visit to PEI, I would like to explore some of the areas we didn't get to on our last vacation in this unspoiled paradise. 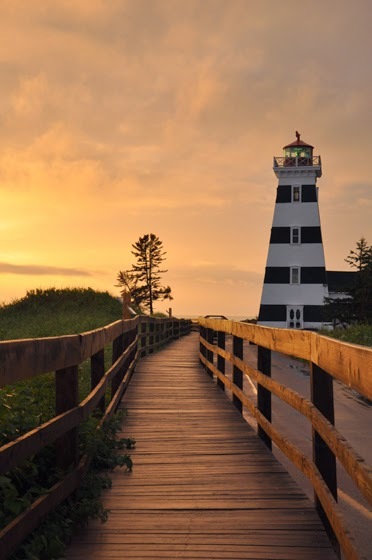 Although PEI is Canada’s smallest province, giving it an intimate, "down-home" feel, it boasts an abundance of attractions and activities. I have been using the Tourism PEI website to create my wishlist for my next PEI vacation. When road tripping from the west, as we do, you are likely to end up entering the Island via the Confederation Bridge from New Brunswick. Not only is it one of the longest bridges in the world, but this 13-kilometre bridge takes you over gorgeous, pristine waters. And you end up in the perfect location for a drive along the Red Sands Shore. Located within the central portion of the Island's South Shore, the Red Sands Shore coastal drive takes you through incredible territory, including red sand beaches, red jutting cliffs and red clay roads. 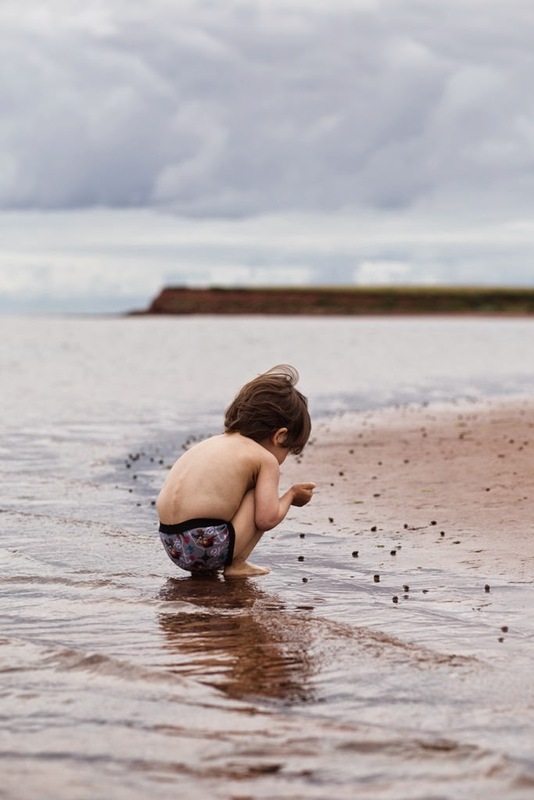 Once you've seen breathtaking red-sand beaches, it's time to visit PEI's white-sand beaches. 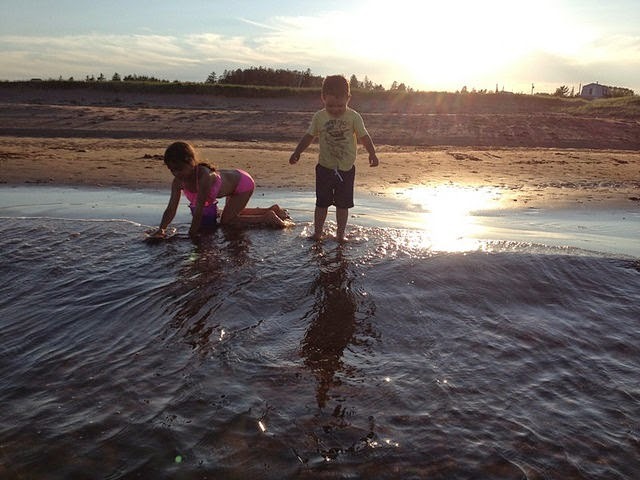 If you've been to PEI you know that it is home to countless tranquil, beautiful beaches. After all, it's an island - there are beaches all around it! In fact, there is 1,100 kilometres of shoreline, much of it taken up by beaches. Specifically I want to explore more of Prince Edward Island National Park, on the Island's North Shore. The park has seven supervised beaches and over 50 km of hiking and cycling trails. Visitors learn about island culture through music and stories at evening campfires. In 1998, six kilometres of the Greenwich Peninsula were added to the protected area of the park. This unique area is home to the largest sand dunes on the island, towering above white-sand beaches. It is also home to rare plants and animals and archaeological findings dating back 10,000 years. Super cool. PEI is rich with history and there are many wonderful long-time residents to share their stories and the stories of their ancestors. It's not a proper trip to PEI without a visit to a historic fishing village. Victoria-by-the-Sea is at the top of my list. The village, on the South Shore between Charlottetown and Summerside, was founded by immigrant lawyer James Bardin Palmer in 1819. This storybook village is home to artists, galleries, studios, a theatre, restaurants and even a chocolate factory! The year-round population is under 200. I love to meander through a village where time seems to stand still - you can forget your cellphone for a few hours and really live in the moment. We actually did visit Charlottetown on our last trip to PEI, but there is more to be seen and I would most definitely go back. It's my favourite kind of city - not too big but still rich with art, history, entertainment, shopping and, of course, fabulous restaurants. The capital city of PEI, Charlottetown is called the Birthplace of Confederation because of the 1864 Charlottetown Conference which led to Confederation. I look forward to once again walking through this picturesque city, where historic painted homes line the streets and residents join together for celebrations and special events. A must-see, the Confederation Centre of The Arts delights visitors with the award-winning Anne of Green Gables – The Musical. 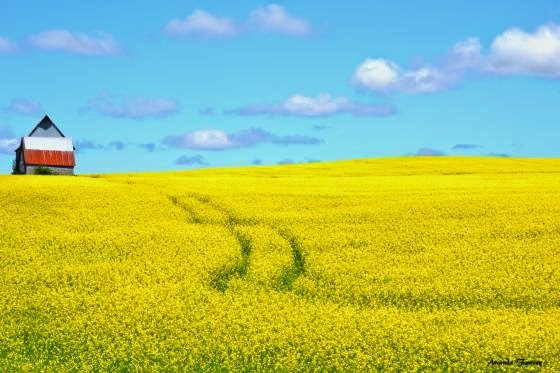 Although I feel a special connection to the ocean, it's also lovely to head inland to explore the visual beauty of gently rolling hills, fields and pastures, all aglow in a serene Prince Edward Island light. I think it would be fabulous to cycle PEI's scenic heritage roads, carved from red clay through hardwood forests. Meander through farmland and woods, listen to the birds and experience the sounds, sights and smells of nature. One such road, Walls Road, passes through open farmlands and lovely woodlands, crossing the Dunk River. Feast your eyes on spruce, birch, pin cherry and alders. You might even come across the provincial flower, the pink Lady's Slipper. Get your camera ready for muskrats, grey partridge and red fox - if you're lucky, maybe even a bald eagle! Who knows more about Prince Edward Island than the people who live there all year round? They have enjoyed the waters, watched the plays, shopped the shops, explored the trails and soaked up the culture. And they have the authentic answers to help you and me get the most from our visit to this beautiful island. Plan your ideal island vacation and find out how to ditch the crowds and explore hidden gems by heading over to the Tourism PEI website to Ask An Islander. Once you click on "Ask An Islander," you can type in your question - be really specific to get a response tailored to your needs - and a helpful and friendly local will send you his or her tips. It's like having a friend on the Island to help plan your vacation! Follow #AskAnIslander and #PEI on Twitter for more insider info about PEI. Have you been to PEI? If so, what was your favourite experience? If not, what would you like to see? *Although this post has been generously sponsored by Tourism PEI, the opinions and language are my own, and in no way do they reflect Tourism PEI. I am crazy jealous of anyone who is remotely near anything Anne Of Green Gables! What a beautiful place PEI seems.